In 2008 International Conference Management contacted MK Shannon Awards & Rewards to select awards suitable for use by the MedStar Program at Georgetown University. The University MedStar Program has held conferences each year to honor outstanding work by physicians in various fields of medical study by presenting them awards designed by MK Shannon. Most recently the MedStar program at Georgetown University has honored the doctors shown in the photos here. 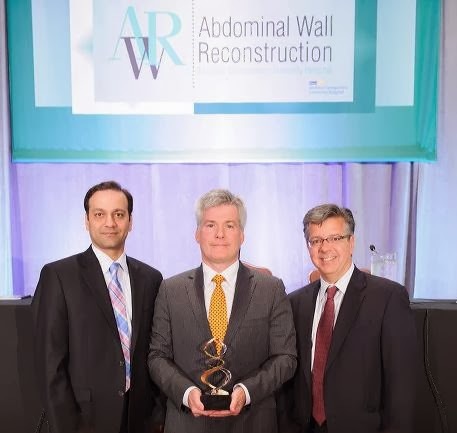 2013 MedStar Georgetown Achievement Award in Abdominal Wall Reconstruction honoree Adrian E. Park, MD (center) with conference co-chairmen Parag Bhanot, MD (left) and Maurice Y. Nahabedian, MD (right). This award was designed by MK Shannon and is entitled “Double Helix”. The award is plated in sterling silver and 14kt gold and mounted on black marble. and is mounted on black marble. 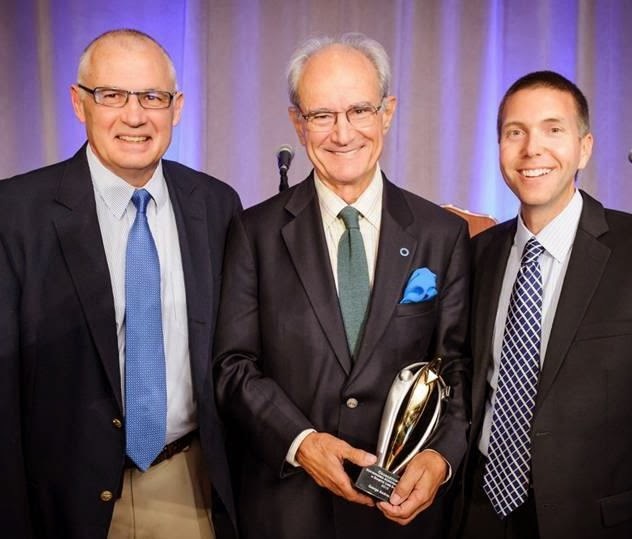 The 2013 Diabetic Foot Global Conference honored two pioneers in amputation prevention with the Edward James Olmos Award for Advocacy in Amputation Prevention. 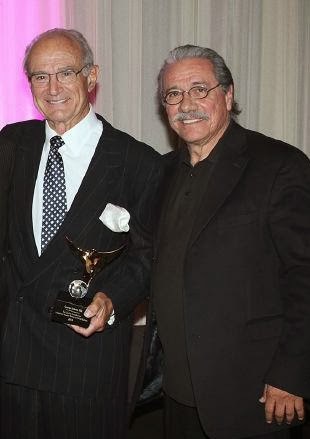 Shown here with honoree, Lawrence B. Harkless is Edward James Olmos (right). This award by MK Shannon is entitled “Soar Above” and is plated in 14kt gold and mounted on black marble. MedStar Georgetown University Hospital's many attributes include an impressive array of centers of excellence—in cancer, gastroenterology, neurosciences, and transplants. We, at MK Shannon Awards and Rewards, are proud to provide awards to honor and recognize outstanding individuals and the work they are doing to meet the healthcare needs of their communities.